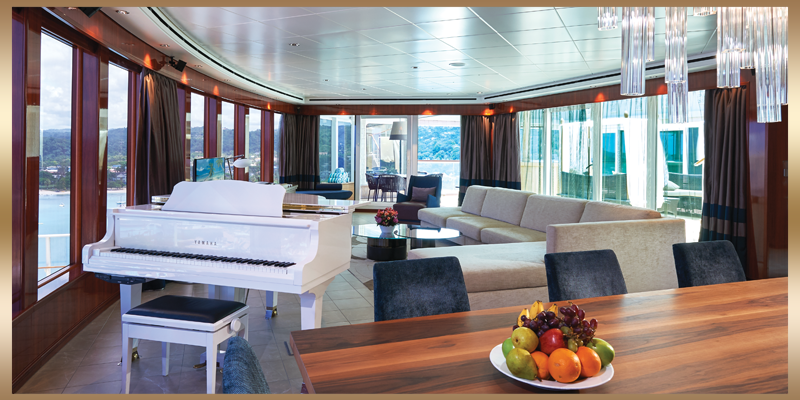 Staterooms and Suites with the VIP Experience will receive additional perks as defined on the VIP Experience Page. For a list of additional amenities provided by NCL, CLICK HERE. 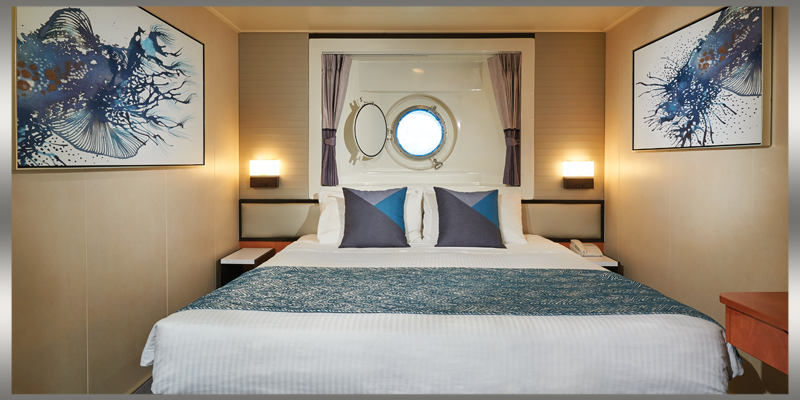 Interior Staterooms have two lower beds that convert to a queen-sized bed. Some, but not all of these staterooms may accommodate up to 4 guests. Beds for third and fourth passenger are a pull down bunk and/or a pop-up trundle bed that will be positioned between the 2 lower beds. Decks: 4, 5, 8, 9, 10, & 11 | Approximate Size: 138-143 sq. 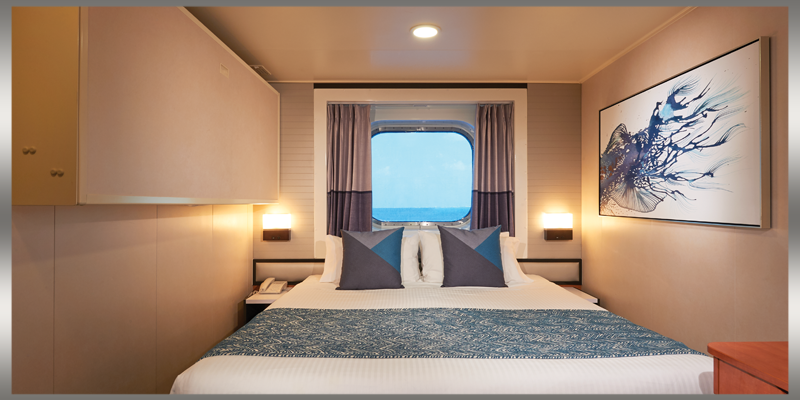 ft.
Oceanview Staterooms with a Porthole window have two lower beds that convert to a queen-sized bed. Some, but not all of these staterooms may accommodate up to 4 guests. Beds for third and fourth passenger are a pull down bunk and/or a pop-up trundle bed that will be positioned between the 2 lower beds. Decks: 4 & 5 | Approximate Size: 155-161 sq. 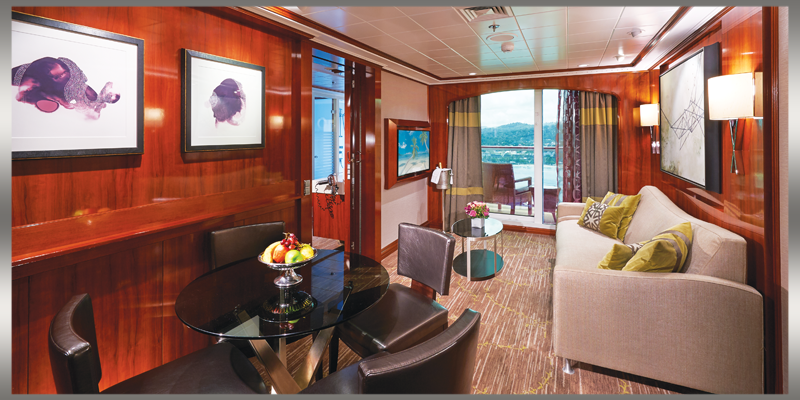 ft.
Obstructed Oceanview Staterooms are either a picture window or a porthole window with an obstructed view. The two lower beds convert to a queen-sized bed. Some, but not all of these staterooms may accommodate up to 4 guests. Beds for third and fourth passenger are a pull down bunk and/or a pop-up trundle bed that will be positioned between the 2 lower beds. Decks: 8 | Approximate Size: 155-161 sq. ft. 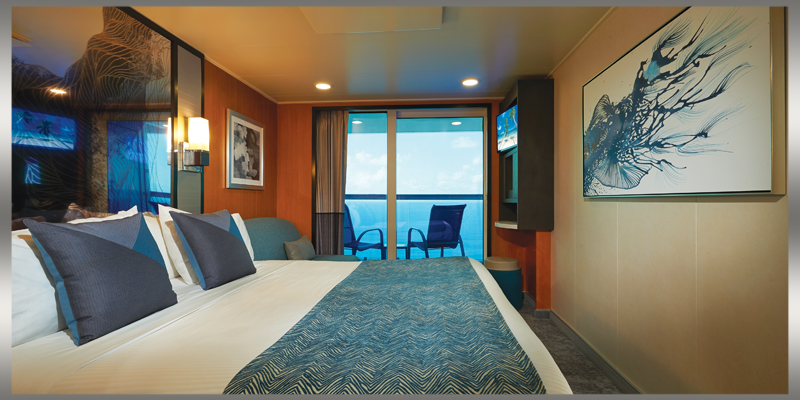 These staterooms have a large picture window and two twin beds that convert to a queen-sized bed. 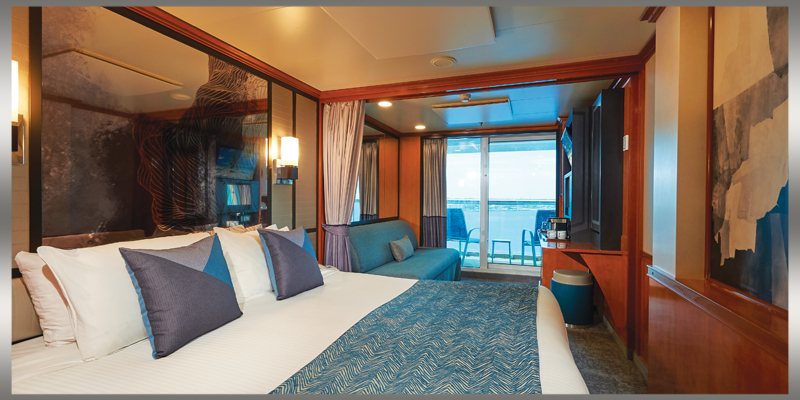 Some, but not all of these staterooms may accommodate up to 4 guests. Beds for third and fourth passenger are a pull down bunk and/or a pop-up trundle bed that will be positioned between the 2 lower beds. Decks: 5 & 8 | Approximate Size: 155-161 sq. ft. 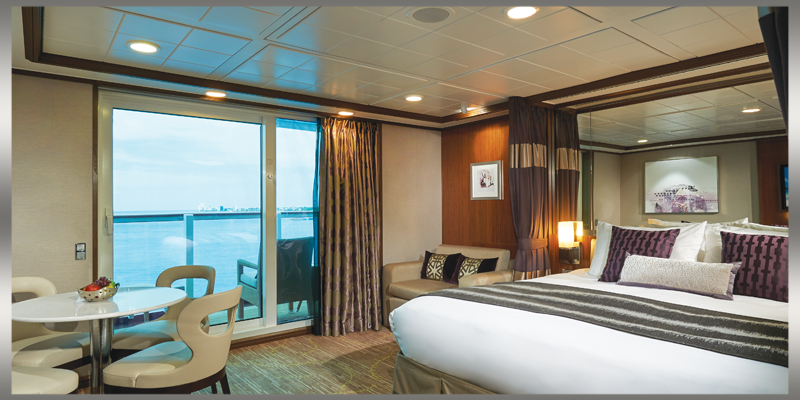 These Balcony Staterooms have floor to ceiling windows that open to your own private balcony. The two twin beds convert to a queen-sized bed. Some, but not all may accommodate 1, 2, 3 or 4 guests. Bed for third passenger is a single sofa bed. Bed for forth passenger is an upper berth. Some staterooms may have a partially obstructed view. These spacious Mini-Suites include the Silver VIP Experience. Mini-Suites have two twin beds that convert to a queen-sized bed. 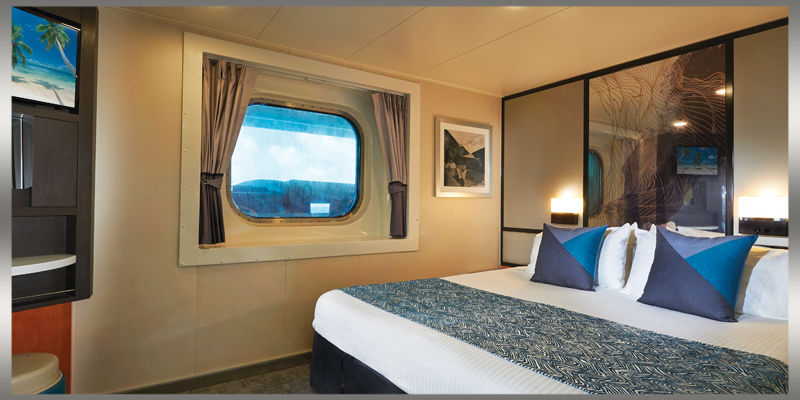 Each stateroom also includes a bath with shower, hair dryer, TV, Mini-Bar, Safe, Climate Control, Telephone* and Internet Connection. 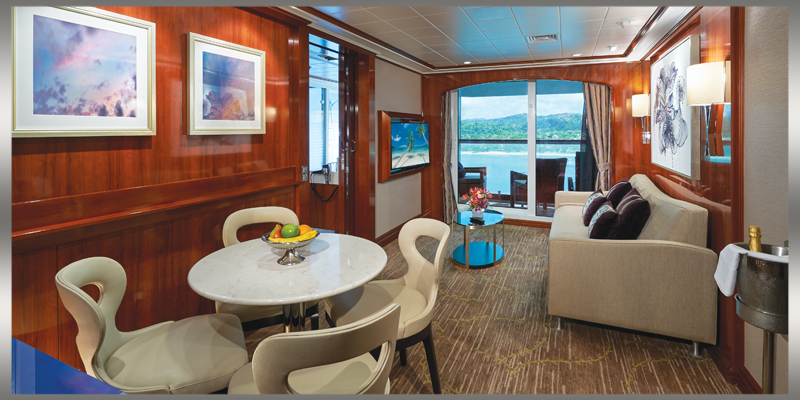 * Some, but not all Staterooms may accommodate up to 4 guests. Bed for third and fourth passengers is a double sofa bed. These incredible Penthouse Suites include the Gold VIP Experience with a large private balcony, living area, queen-sized bed and a bathtub/shower combination. Suite sleeps up to 3 guests. *Guests that indicate they are interested in Suites when prompted during booking, will be contacted for an upgrade, if available, in timestamp order. Bookings are not available online or via phone. These incredible Penthouse Suites include the Gold VIP Experience with a large private balcony, living area, queen-sized bed and a bathtub/shower combination. Suite sleeps up to 3- 4 guests. 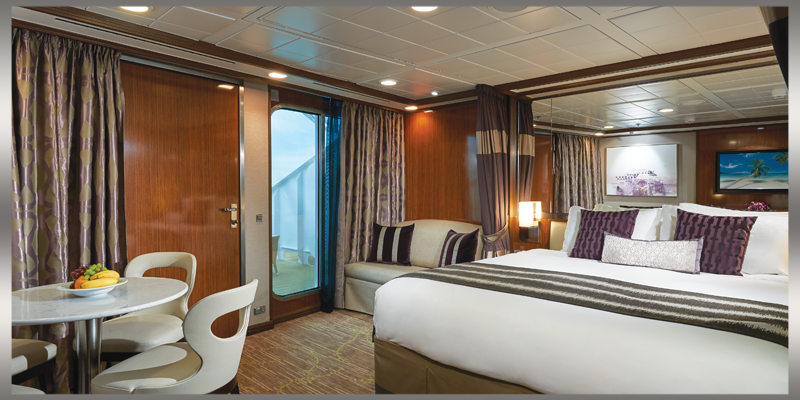 Staterooms include the Gold VIP Experience and are perfect for sharing. 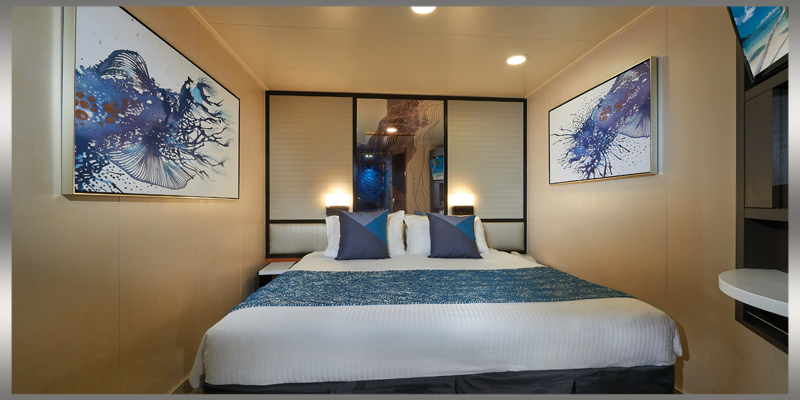 These luxurious Penthouse Suites include a bedroom with queen-sized bed, a separate “children’s” bedroom with a double pull out sofa bed and an upper berth and a single pull out sofa bed in the living room. Can accommodate up to 6 guests. This amazing Villa comes with the Gold VIP Experience and sleeps up to 8 guests in 3 separate bedrooms, each with a king or queen bed. The Villa includes butler and concierge services, a living room with a grand piano, private dining area, incredible view overlooking the pool stage, and private hot tub.